Today and everyday, support your local Record Store. To celebrate we’re offering 30% everything on the site . 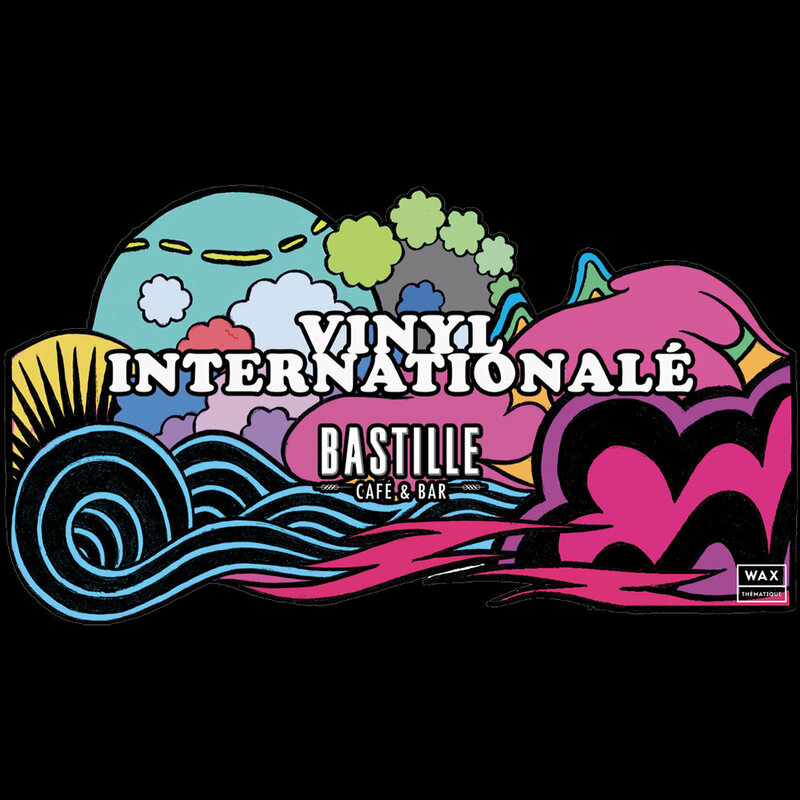 Use code: RSD2019 at check out. We are very proud to announce our latest signee: Select Level. “Heads may know Select Level mastermind Andy Sells best as the limber drummer for soulful fusion explorers Afrocop or as the bassist for noisy prog-rockers Nosretep... or maybe even for his stint in electronic brainiacs FCS North, who existed from 1997 to 2007. This talented Seattle multi-instrumentalist has established that he can get weird and far out in various situations. Select Level finds Sells veering off on a tangent into the realm of sleek music geared for dancing and romancing.” Photography by Jasmine Kara | Words by Dave Segal. Wax Thematique partnered with Photographer Mike Monaghan to create our first ad for Noel Brass Jr’s album “Broken Cloud Orchestra”. This is the 3rd release from Wax Thematique and our first in the ambient genre. Mike used in camera lighting effects & subtle panning shots to visually complement Noel’s sound. Our hope was to achieve the feeling of the record & highlight the product in just 15 seconds. Noel Brass Jr. Synthesizer Performance @ Le Merde (Seattle) Feb 9th. RUMTUM (Art Exhibit) @ Mirus Gallery Denver Jan 11th. 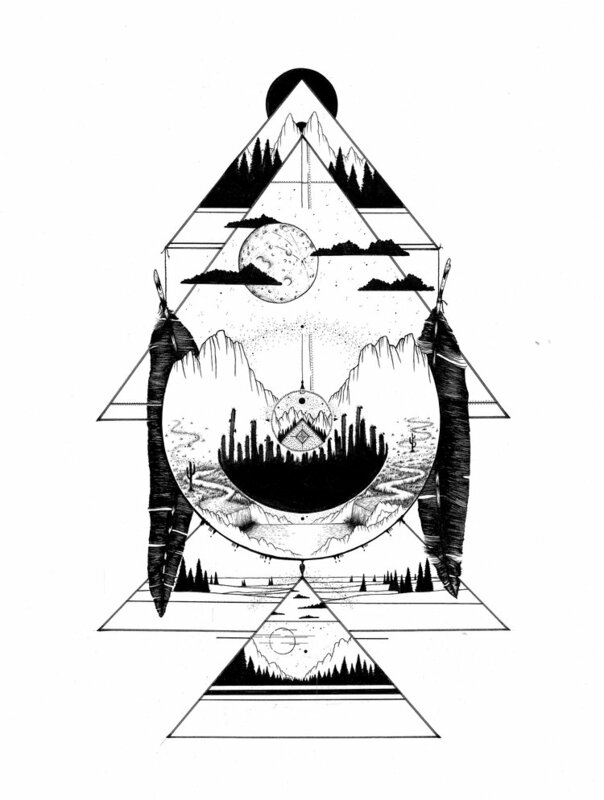 RUMTUM’s illustration, painting and design work will be on display at Mirus Gallery Denver as they present a group exhibition featuring Denver artists. The official opening party is Friday January 11, 7-10pm (MST). *The exhibit runs from January 11 - February 9, 2019. Noel Brass Jr. was born in the year 1984 which led to conversations on This is Spinal Tap, Ghostbusters and 80’s pop art, and then Repo Man and the nature of subversive art. 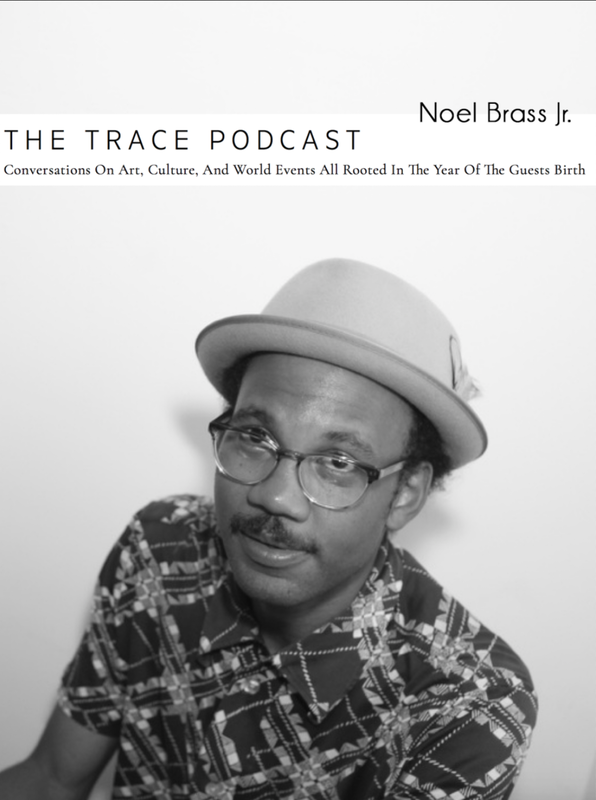 The Trace Podcast also touched on the unique nature of religious music, the connections between punk and jazz, and the way that horror films like Nightmare on Elm Street can give us a cathartic experience of fear. Listen to the podcast HERE. The time is now! Paces Lift & Ben Bounce: Tropikoro Vinyl Release party is Friday May 4th in St. Louis MO @ The Monocle. This is a FREE event. Albums Download as MP3. Wav upon request. Pre-Order: Paces Lift & Ben Bounce "Tropikoro"
The lost art of the sample-based album lives on through producers Paces Lift and Ben Bounce. In 2014, the two traded spaghetti western beats on the high noon duel of Quick Trigger. If Quick Trigger was a western manifest, then follow-up Tropikoro is the tradesmen hitting the high seas for distant islands across the Pacific. Tropikoro is another funky, cinematic score immersing the listener in the international grooves of Pacific Southeast. Psychedelia and Tropicalia collide across Tropikoro for an escapist record in which every cut is a new stamp in the passport. *Shipping on or before May 4, 2018. Episode 31 of Fruit of The Boom features Paces Lift, in which he discusses everything from his first beats on stenciled CDR’s to the fruition of Wax Thematique. Listen to the Episode HERE | Fruit of the Boom is a Producer, DJ & Audio Engineer Podcast with new episodes every week and is Sponsored by Fresh Produce & Suburban Pro Studios. Photography by Peter Seay. 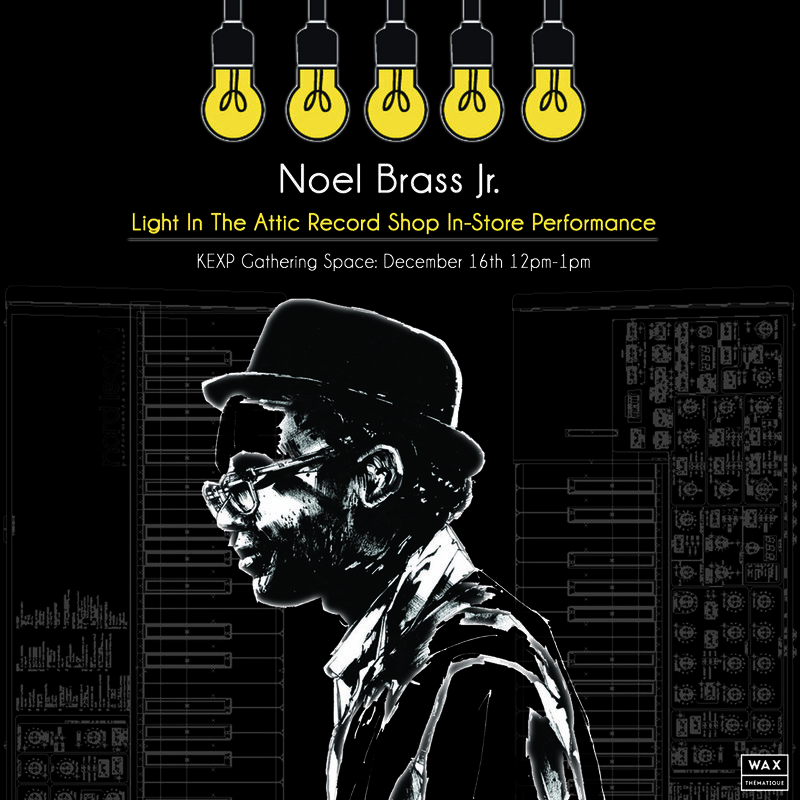 We're pleased to be partnering with the fine curators of sound and style; Seattle boutique vintage shop Beats and Bohos for a live Synthesizer performance with Noel Brass Jr. 7pm-9pm January 13th. This is a free event in an intimate and positive setting. 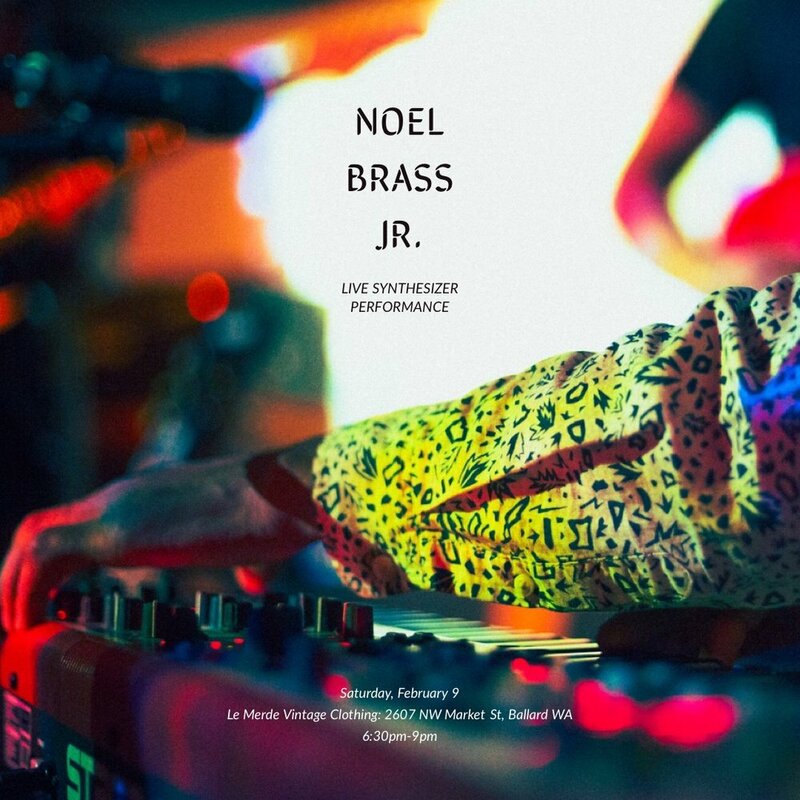 *All of our events for Noel Brass Jr. are strategically designed to bring you the best quality atmosphere we can imagine, Beats and Bohos is no exception. Live in the KEXP Gathering Space: Noel Brass Jr brings his beloved double synthesizer setup for an evocative afternoon of interstellar sounds. All ages and 100% free, the performance begins at noon! Seattle live visualist John Theroux meticulously broke apart elements of Noel Brass Jr's vinyl jacket design to create these quick yet gorgeous video pieces celebrating our 3rd release.